WebViews are very common on the Android applications. There are clear WebView security best practices, but are they being implemented? With our previous blog post in mind, Android WebView: Secure Coding Practices, we wanted to understand how security best practices in WebViews are being implemented in the wild. Are the apps with WebViews, currently available on the Internet, secure? Our security research team performed a GitHub search to get a list of projects using WebView that are considered the most influential. To find the most influential projects, we used this formula to create a score = 0.7 * stars + 0.3 * forks, resulting in a set of 142 popular applications that implement WebViews and are potentially vulnerable. Next we carefully analyzed this set of applications. Here are our conclusions. More than half of the applications don’t enforce HTTPS in all communications. The usual excuses for not using HTTPS include the impact on performance and non-sensitive information that doesn’t need to be protected. However, these are not valid justifications anymore. A good example is the recent vulnerabilities disclosed for Tinder by the Checkmarx Research Team, which compromised user confidentiality. These vulnerabilities occurred due to the lack of SSL/TLS. These days, HTTPS should be enforced in all communications. Ignoring SSL/TLS errors is another common bad practice. When an HTTPS communication takes place, a negotiation for secure communication occurs, and errors may occur. For example, when an attacker launches a Man-in-the-Middle (MitM) attack against HTTPS connections, the SSL/TLS negotiation results in an error because a recognized authority did not sign the certificate of the server. 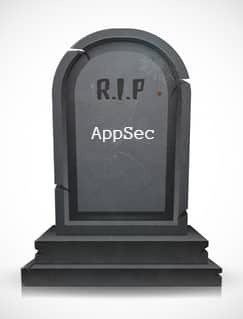 Only 8% of the analyzed applications have code to handle SSL/TLS errors in a customized way. Overall, 3% of the applications ignored HTTPS errors, which makes them vulnerable to MitM attacks. As an example, below is vulnerable code extracted from one of the analyzed applications. The application should never ignore SSL/TLS errors. After encryption, the next security best practice in the analysis is to validate content loading. Android WebViews can validate whether the loaded content is what was excepted in the normal behavior of the application or if it was somehow manipulated. The next graph shows the results for apps that are vulnerable to manipulated content loading. In 4% of the overall applications, content is loaded on the WebView accordingly to parameters read from the loaded page. These parameters can be manipulated and lead to malicious code being loaded by the WebView. To validate the URLs being loaded in the WebView, the shouldOverrideUrlLoading or the shouldInterceptRequest methods should be overridden. Besides validating URLs being loaded, parameters should always be validated as well. The following example shows an extracted insecure piece of code, where input validation should be in place. The “item” parameter is not being validated and the shouldOverrideUrlLoading/shouldInterceptRequest methods are not overridden to validate the loaded URLs. Although not a bad practice by itself, we think it is an interesting finding to highlight. We were disappointed with the final results. They show that there is still a lack of engagement from the development teams to guarantee that new applications are secure. We found the encryption of traffic the most unconsidered security practice. This bad practice is present in over 50% of the analyzed applications and jeopardizes users’ privacy—and the integrity of the software. Nowadays, there simply isn’t any justification for the use of HTTP over HTTPS, and the decision to use HTTP is putting users at risk. João Morais is a pentester and researcher. He also has experience in designing and implementing application and infrastructure security solutions. Always in pursuit of self-improvement, he achieved several pentesting certifications in the last years.